STINKING FISH STUDIO GUIDE - New for 2013! Studio Visits available all year! Instead of a specific tour, the artists of the Stinking Fish Studio Tour are making their studios available for studio visits throughout the year. Check www.stinkingfishstudiotour.com. Please call ahead. 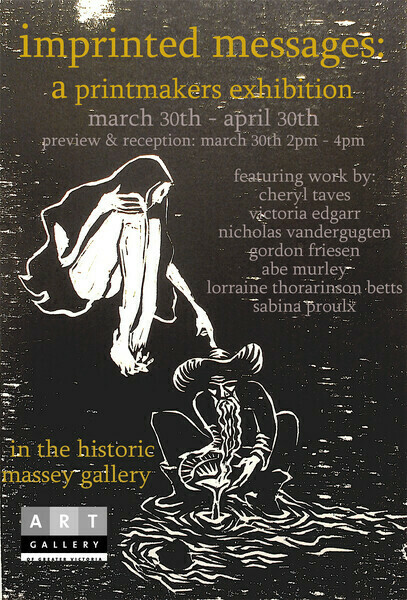 Gallery, 3221 Heatherbell Road in Colwood. The artists of the Stinking Fish Studio Tour present an exhibition at the Metchosin Art Gallery entitled "Ten Thousand Hours", based on the notion that time and dedication underlies the attainment of expertise in a chosen field. The MAG is open Thursday through Sunday 12 noon to 5pm. http://www.metchosinartgallery.ca. December 3, 2012 - January 30, 2013.